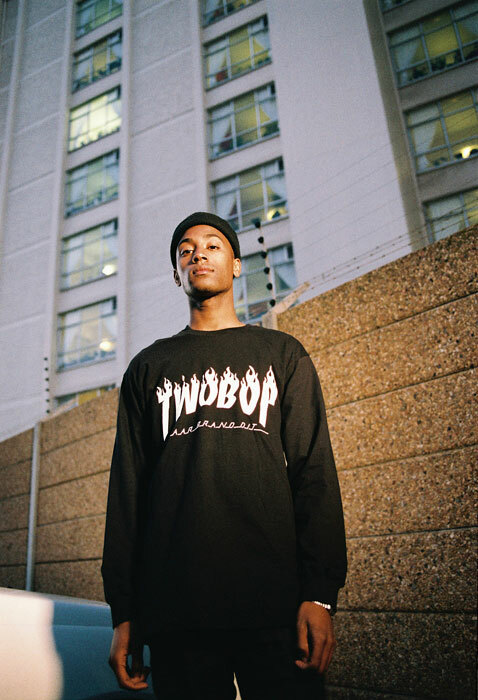 Cape Town is currently experiencing a renaissance in the creative industries thanks to the young generation whose honest approach is transforming the fabric of the city. In the age of celebrity, it is rare to see youngins move away from wanting to be famous for no reason, toward a desire to be respected for their craft, be it photography, styling, art direction or the infinite iterations thereof. “Put me on” has become “Help me to put myself on” and “I wonder what I can get out of this homie” has evolved into “I wonder what I can do for them”. They realise that building bodies of work is more important than an Insta like, or being seen with the popular crowd. When it comes to inspiration, this movement looks to an expression of heritage, be it personal, cultural or focussed on specific brands or ideas within whichever culture they choose to invest in. It’s a beautiful thing to behold - youngins taking themselves seriously and forging new identities within industries they have previously been excluded from based on a deep-rooted lack of diversity and representation. Leading the pack are the likes of visual artist Tony Gum, editor and founder of Twenty Mag Yolanda Willie, model Nicolas van Graan, filmmaker Jabu Nadia Newman and photographer Ebraheem Davids – to name just a few. All of these proactive humans have taken the initiative and created platforms not only for themselves to thrive but for those aspiring creatives that surround them too. At corner store CPT, we pride ourselves on the fact that we have also created a space and pushed to forge new identities within these spheres. We are proud of our city and we are grateful that we have the resources and platforms that allow us to offer opportunities to the many gifted, diligent youngins who make up our community. As such we’ve collaborated on this editorial with five individuals who have been putting in work for a minute and been growing in their ability to express their respective visions. It is styled Youth95 co-owner Seraaj Semaar who also models alongside his business partner Reagan Paulsen and Fadiel Esack. They wear pieces from corner store brands such as Sol-Sol Menswear, Young and Lazy and 2BOP plus the recently released corner store football academy and Puma Football jerseys. Lensed by photography talent Kyle Weeks, the shoot takes inspiration from the clean architecture and raw urban textures in Sea Point, an occasionally controversial coastal suburb on Cape Town's Atlantic seaboard. The Images aim to illuminate the similarities between architecture and fashion, pointing to the construction of the garments and the ways in which shapes and forms in these surroundings are mirrored in the lines and cuts of the garments, and further mirrored in the raw aesthetic and minimalist composition of the images.